Today I wanted to take a few minutes and re-introduce myself and this show for the many new listeners that have joined in the last few weeks that might not have gone back to the old Podcasting Tech Coach intro show. First off, Who am I? I’m Mike Dell. Not the guy that started Dell Computer company, but the one who has been podcasting for 9 years on various shows. I am located in Northern Michigan and do my show from a squeky desk chair in the basement of a 1940’s log cabin in the woods along the shores of Lake Michigan. The second podcast that I did, I did with a co-host and it was called the Ham Radio Podclass. It’s where John Martin and myself helped people pass their US Amateur Radio (Ham) license tests. That one was very popular and we had 1000’s of people email us their new callsigns after they passed the tests. Due to the work involved with producing that one and the fact the FCC changes the question pool (and the subjects covered in the test every 3 years) we quit doing it. If anyone is interested in downloading the episodes, they are still available at http://geekofthenorth.com/ham-class-files/ for the Tech and General. Lots of good information there, but a bit outdated. My wife and I did a podcast called “Strange Today” which was a daily podcast about strange history. We did it for a year. That was enough. I don’t recommend doing daily podcasts unless you REALLY have a commitment to doing one.. Even if it’s short. Ours almost never went over 5 minutes, but was still a lot of work to keep going. That one is in the bit bucket. I did another Daily , turned weekly called Aviation History today and then Aviation History this week. That is another one that I didn’t save any episodes of. I had / have a tech podcast called “Geek of the North”. I’ve podfaded it, but it still exists at geekofthenorth.com and it may come back someday. I’m keeping the site online in case. I’m sure I’m missing a few shows I’ve done, but that’s the main list. What makes me qualified to give advice? Well, it’s quite likely, if there is a mistake to be made, I’ve made it. If I didn’t make it myself, I’ve helped other podcasters undo their mistakes. 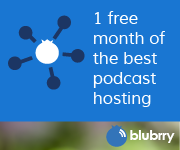 For 5 years now, I’ve been the tech support guy for Rawvoice, Tech Podcast Network and Blubrry. 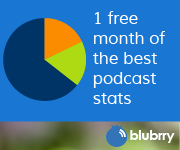 I have answered 1000’s of questions from podcasters both about Rawvoice services and podcasting in General. I’ve also consulted with a bunch of podcasters to get them started in podcasting on my own. People pay me to get them out of trouble. Well, about 2 years ago, I thought it would be a good idea to have a podcast about the technology of podcasting. The plan was to take the questions I was getting at blubrry/rawvoice and answer them in podcast form. It took me almost 2 years to get to episode 12. The problem was I wasn’t doing it my way. This show was never the official blubrry support podcast or anything like that, but it was too focused on tech issues. When I rebranded to The Podcast Help desk, I figured I would branch out more and discuss anything that has to do with podcasting that will help people learn about podcasting. Sure there are lots of podcasts about podcasting out there already, and they are great. I want to put my spin on it. If you notice, I have a very down-to-earth view of podcasting and a rather laid back style. I’m not going for the slick radio show type program.